Is your driveway getting muddy? Do you notice that daylight lasts into the evening now? Have you seen more signs of wildlife? Well, we are sorry to tell you that all of these are signs that spring is on its way. However, don’t fret because there are still a lot of fun things to enjoy before the snow disappears! 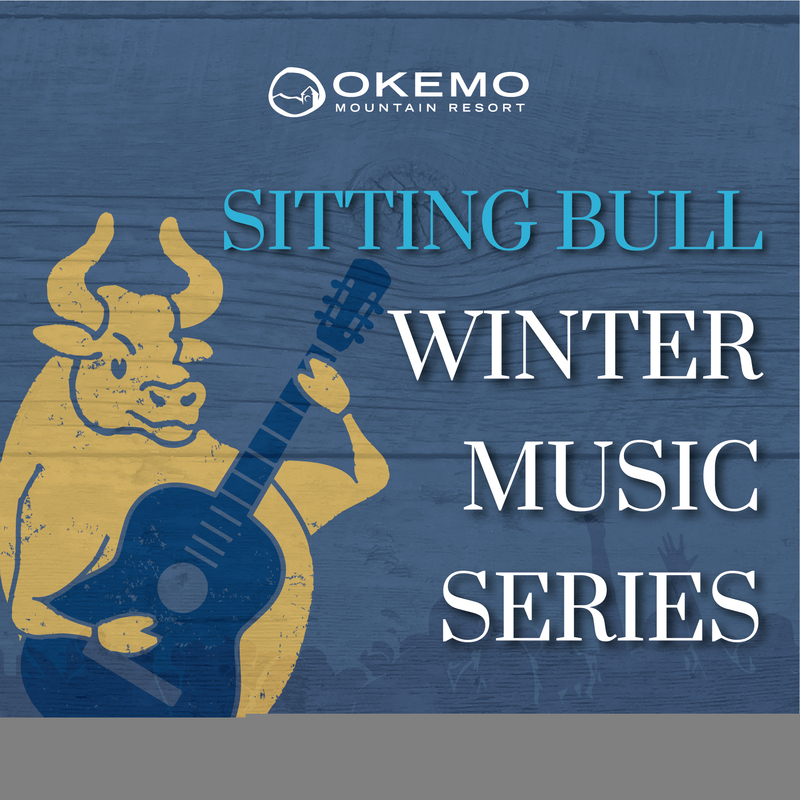 Start this weekend off right and join us for some apres ski at the Sitting Bull with music by Sam Blanchette! This is the last night of the Winter Music Series, so you don’t want to miss out! However, we will be back this summer with more music during the Summer Concert Series at Jackson Gore! Also, this weekend, check out Mardi Gras in the Mountain! 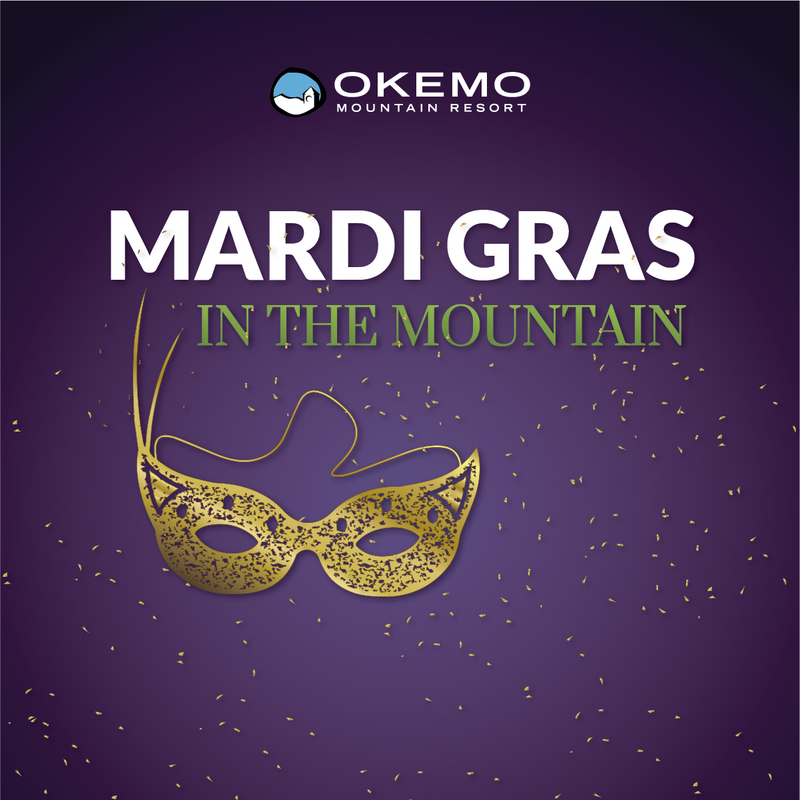 Okemo is hosting a Mardi Gras parade at the Clocktower base area on Saturday, March 9th, from 1-3pm. Do you want to know the best part? You get to dress up in your best carnivale costume and walk in the parade! Wear the best costume and you could win the title of King or Queen of Mardi Gras. There will be live music and of course, Mardi Gras wouldn’t be complete without a bead toss! Did we say that you had to wait until summer for more music? Surprise! 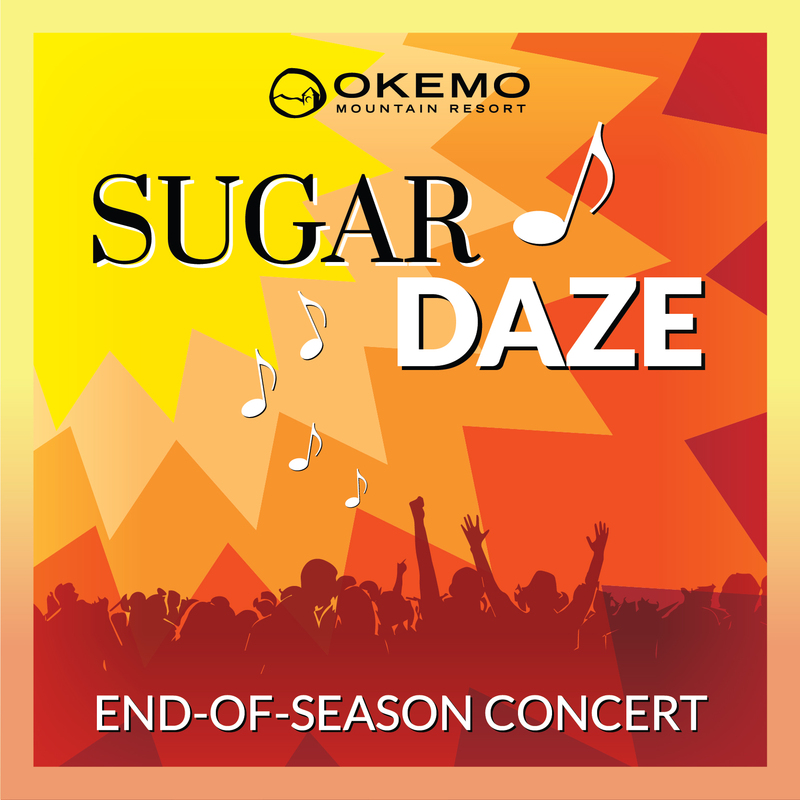 We are sponsoring Sugar Daze, the end of winter season outdoor concert at Jackson Gore on March 16th, 3:30-8:30pm. This year’s concert is being held in the Jackson Gore Courtyard where there will be a beer garden and food! 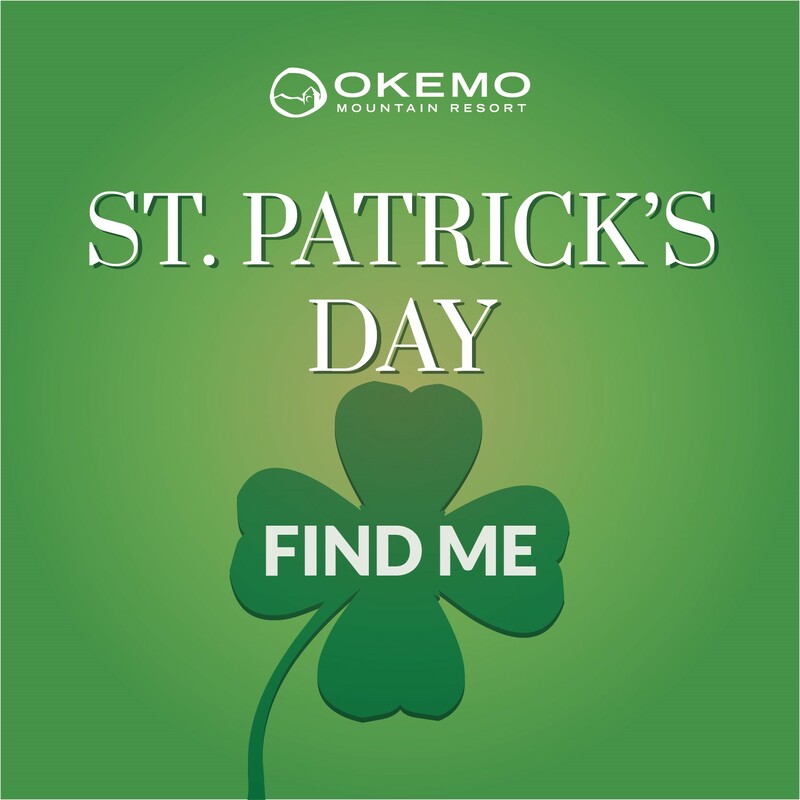 Continue the fun next weekend by taking part in the St. Patrick’s Day Shamrock Scavenger Hunt on Okemo! There will be shamrocks hidden on the trails for you to find when you are skiing or boarding. All you have to do is get the shamrock and bring it to resort services to claim your prize! Obviously, to make things more fun, wear your favorite green outfit on the hill! 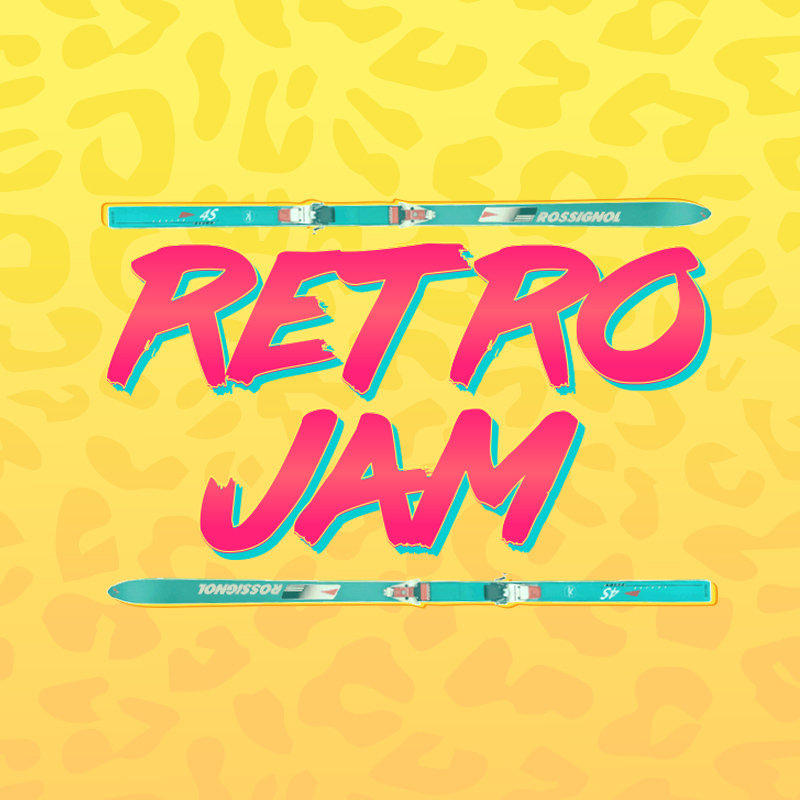 The fun continues into the weekend of March 23rd with the ‘80s Retro Jam on Bull Run at Okemo! Here is another chance to dress up, but this time in your best neon colors and acid-washed jeans, and show off your best skills on the rails. Registration begins at 1pm and is free to anyone dressed in rad 80s fashion! If you aren’t into competing, make sure you take a break from skiing or boarding to go watch the competition! 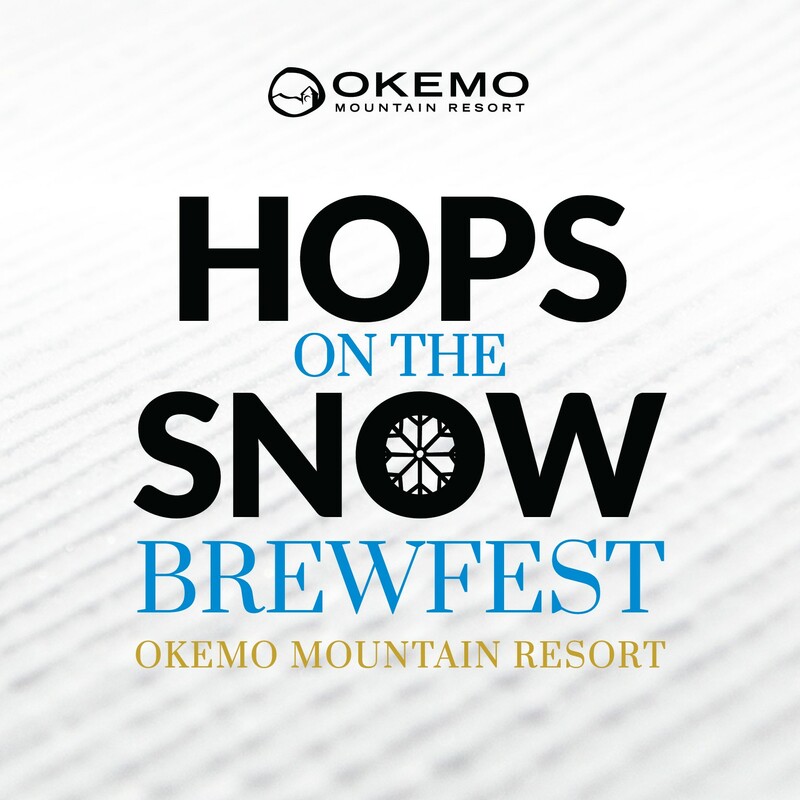 Make sure you don’t give up on winter too soon because Hops On The Snow is happening on March 30th in the Jackson Gore Courtyard! There is nothing better than taking advantage of the spring ski conditions, getting a goggle tan, and enjoying some tasty brews and barbeque! So, even though the winter season is winding down, don’t forget about all of the fun events in March and April! And just think about those killer goggle tans you can get on those bluebird days! We LOVE our Local Ski Shops! Have you ever heard the expression, “A little town with a big skiing problem?” Well, to us, skiing and snowboarding certainly take a priority in our lives and we are very thankful to live in such an amazing place where we can do what we love on a regular basis. However, we couldn’t be up on the hill without our gear from our favorite ski shops! If you are looking for a shop close to Okemo, check out The Boot Pro Ski Shop right at the bottom of the Okemo Access Road. This is a family run shop, owned by a lifetime resident of Ludlow, which is very evident in the family-like vibe that the shop portrays. Not only are the owners knowledgeable after working in the ski industry throughout their entire careers, but they also have an impeccable team working with them. The Boot Pro offers a lovely selection of outdoor gear including clothing, helmets/goggles, skis, and boots. They provide tuning services, as well as demos. A new and exciting venture of theirs is Alpine Touring and if you haven’t tried this for yourself, head into the shop to demo some touring gear! Another local favorite and family-owned shop is Totem Pole Ski Shop, which is actually the oldest family run ski shop in Vermont! This is one of the most popular shops for winter sport competitors, including many of our local Okemo Mountain School athletes. Not to mention, they have worked with Olympic athletes, as well! Needless to say, they are great at what they do. Not only does Totem Pole have great gear to demo and sell, they also do a killer tune job on skis and boards. However, if you are just visiting the Okemo Valley, they have an awesome rental shop where they can get you set up for a weekend on the hill! They also have a great selection of clothing and one of the best souvenir selections in town! On the other side of town is Northern Ski Works, which has been a staple in Ludlow for a very long time. Northern Ski Works is known for boot fitting with a Certified Pedorthist on staff, along with a knowledgeable team with backgrounds in ski instructing, racing, and coaching. Northern is also one of the best places to go for ski clothing, carrying a wide variety of brands including Descente, Nils, Kuhl, and much more! Again, if you are coming to Okemo for a weekend getaway, Northern also does ski rentals and demos! So, if you are looking to join in on the fun that we Vermonters have on the hill, make sure you check out our favorite local shops to get set up and on the hill in no time! Even though we live in a mountain town, we know that not everyone enjoys skiing or snowboarding. Yes, we always push people to enjoy the gorgeous mountain of Okemo in our backyard, but do not worry, there is still plenty to do in Ludlow if you do not like winter sports! Ludlow is the home of many well-known restaurants with something for everyone! If you are looking for a morning or afternoon out on the town, while your friends or family are skiing, there are plenty of places to choose from. For breakfast, head into Proctorsville to Vermont Apple Pie. This adorable country kitchen serves only homemade food, including a personal favorite, the Apple Crisp Waffle. Yes, it is exactly what it sounds like; apple crisp on a waffle, yum! For other breakfast choices, check out The Hatchery or Cafe at Delight. If you enjoy a morning at your home or hotel, curled up with coffee in front of the fireplace, then you could check out the several delicious lunch options that Ludlow has to offer. If you are looking for a sandwich, look no further than Java Baba’s, a popular cafe at the bottom of the Okemo Access Road. If you are craving Italian, head to Mama’s for a delicious calzone or homemade pasta, both of which will make you feel like you are in Italy. If you want a to-go option, you must try The Cookster. The Cookster offers a new menu everyday of homemade items that will make your mouth water as soon as you see them! While you are out, you should check out some of the little shops around town. One of my favorites is The Blue Sky Trading Post, an adorable shop with a variety of items. You can find local souvenirs or beautiful handcrafted jewelry. I promise, you won’t be able to leave empty handed. Right down the road on Depot Street, you will find the Wine & Cheese Depot, The Depot Street Gallery, and Russ Hurlburt Photography Studio & Gallery. All of these shops are unique and truly show the essence of Vermont. You should also take a ride on Route 100 North to the Green Mountain Sugar House, where you can get the best maple creemee around and take a look in their gift shop filled with Vermont products. If you are looking to do something active, but don’t enjoy skiing or snowboarding, there are a lot of options! You could take a yoga class at Go With the Flow, who offers classes for all levels and a variety of class types. If you want to stay on the mountain, The Jackson Gore Fitness Center also offers a variety of classes, a gym, and a pool. If you want to stick with the winter theme of being in a mountain town, the Okemo Valley Golf Course becomes a Nordic Center and offers trails for snowshoeing and cross country skiing. The trails give you some of the best views of Okemo and are always well groomed and maintained. Another option is to check out the Ice House at Jackson Gore and enjoy an afternoon or morning of ice skating. So, if you do not ski or snowboard, that’s okay! There is plenty for everyone to do in Ludlow. If you are looking for other ideas, do not hesitate to reach out! We are always willing to help you experience the Okemo Valley in a way that matches your likes and need! A Mountain Condo for Everyone! Are you in the market for a condo? Well, Okemo Mountain has many different condo locations to suit your individual needs and we have property listings in each area! Are you a family with different interests? Maybe some of you ski or snowboard, but others don’t? Look no further than Jackson Gore because they have something for everyone! For those of you looking to be the first in line for the chairlift in the morning, just step out your door right onto the slopes. However, if you want to have a leisurely morning, brunch at Coleman Brook Tavern, followed by a dip in the outdoor heated pool or hottub. If you are looking for adventure, spend the day in the Adventure Zone on the Timber Ripper or in the snow tubing park! Jackson Gore also has a beautiful fitness center and ice rink for all of your family fun. Just up the road from Jackson Gore is Solitude Village with a variety of condos, townhouses, and single-family homes. If your priority is the amenities, then Solitude is the place for you. They have a great fitness center, along with a pool, hottub, and sauna! Solitude also has one of the best ski-in, ski-out restaurants on Okemo, Epic. Here you will find the best burger that money can buy! 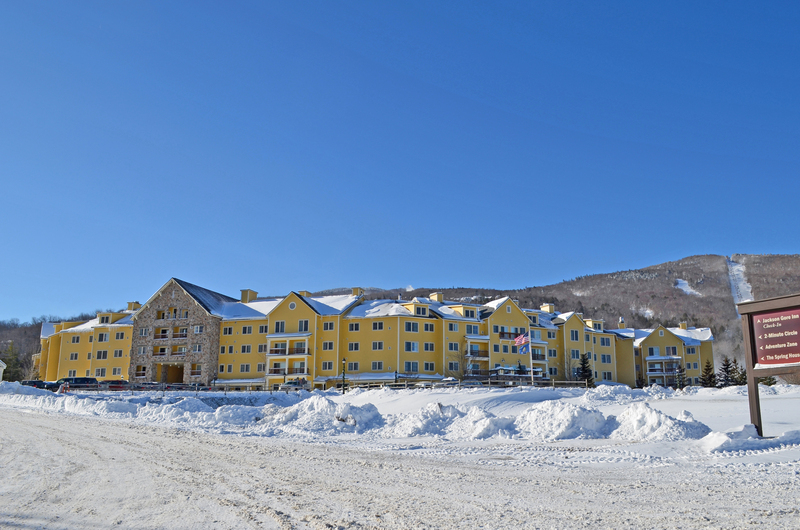 If you are looking to be at the heart of the mountain, check out the Okemo Mountain Lodge condos! 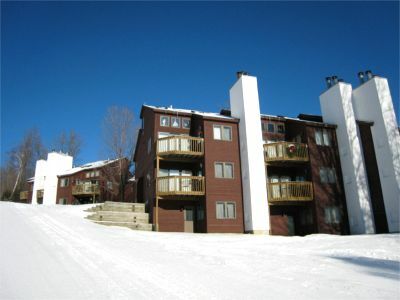 These condos surround the base lodge area, giving you easy access to the slopes! The condos are also situated only a few minutes from the village of Ludlow, making it a prime location to get to several great restaurants. Not to mention, Okemo Mountain Lodge offers great apres ski options, including the Sitting Bull right at the base, or Tom’s Loft Tavern just down the road. 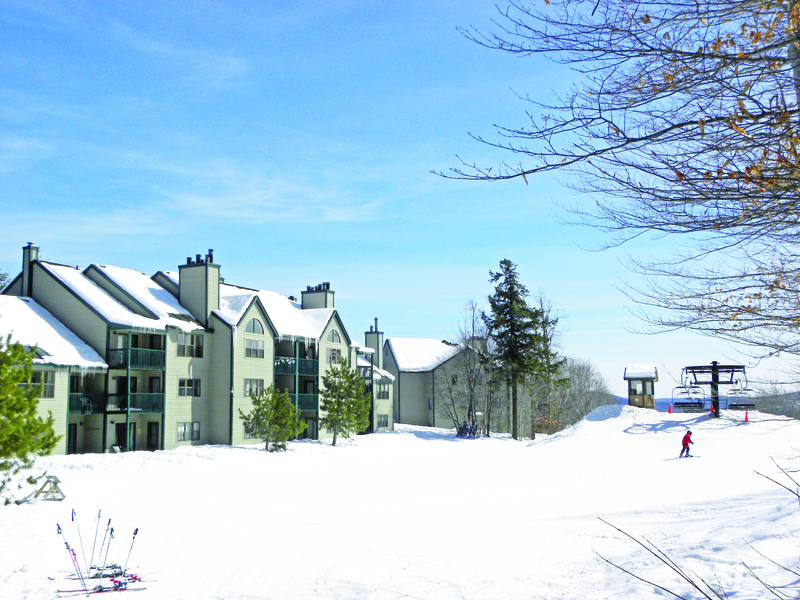 One of the more popular condo areas is Winterplace. 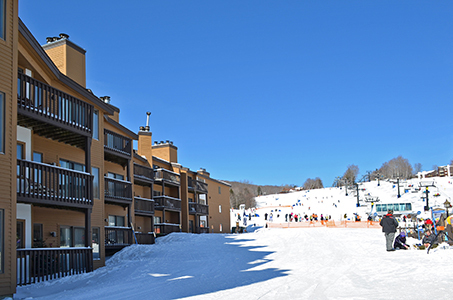 If you are an avid skier, Winterplace arguably has the best location on the mountain for you! With this location, you get to avoid the 1st round of lifts and head right to the top of the mountain! This is the ideal place to ensure that you get the first tracks when the mountain opens. Winterplace also has a great indoor pool and hot tubs. In the summer, enjoy the tennis courts and a beautiful picnic area, as well! If you are in need of a larger condo, Ledgewood is a prime area for you to checkout. 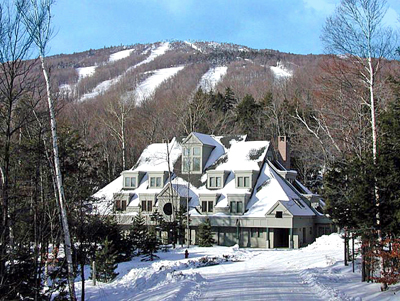 Ledgewood offers 3 and 4 bedroom condos and is located on one of Okemo’s maintained ski trails. These condos are bright and spacious and definitely give you the mountain feel. Ledgewood’s location makes you feel like you are out of the hustle and bustle of the main areas, but is a quick ski or ride to the base of the mountain. Another favorite location away from the main base areas is Trailside Village. 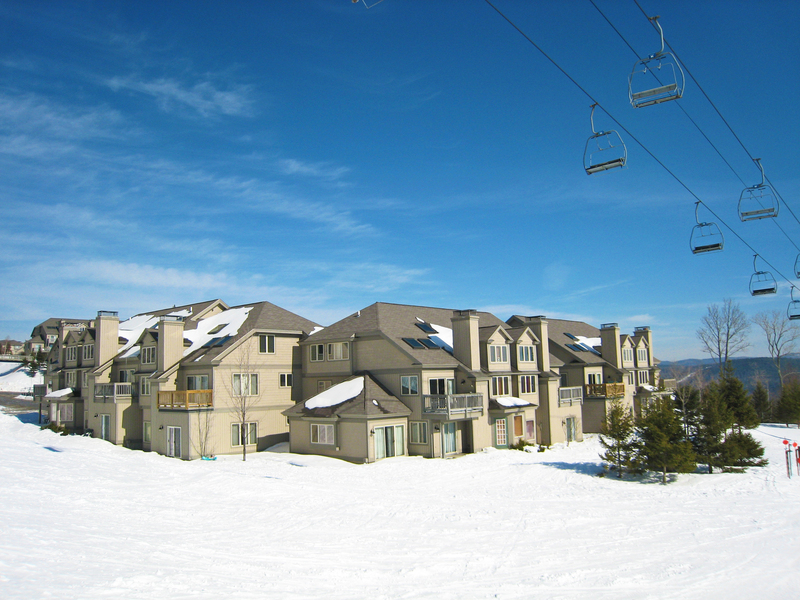 These condos are located on or near Sachem Trail and are located at one of the highest condo locations on Okemo. Even though some of the condos aren’t directly on the trail, Trailside offers a private shuttle with access to Sachem. The condos boast a classic ski house style that make you never want to leave. All you need is a cozy fireplace and mug of hot cocoa and you are good to go! If none of these condo options suit your needs, don’t worry, there are more! Visit our website to learn more about Alpen Meadows, Kettlebrook, Timber Creek, West Woods, Southface Village, Snow Trak, and Okemo Village. 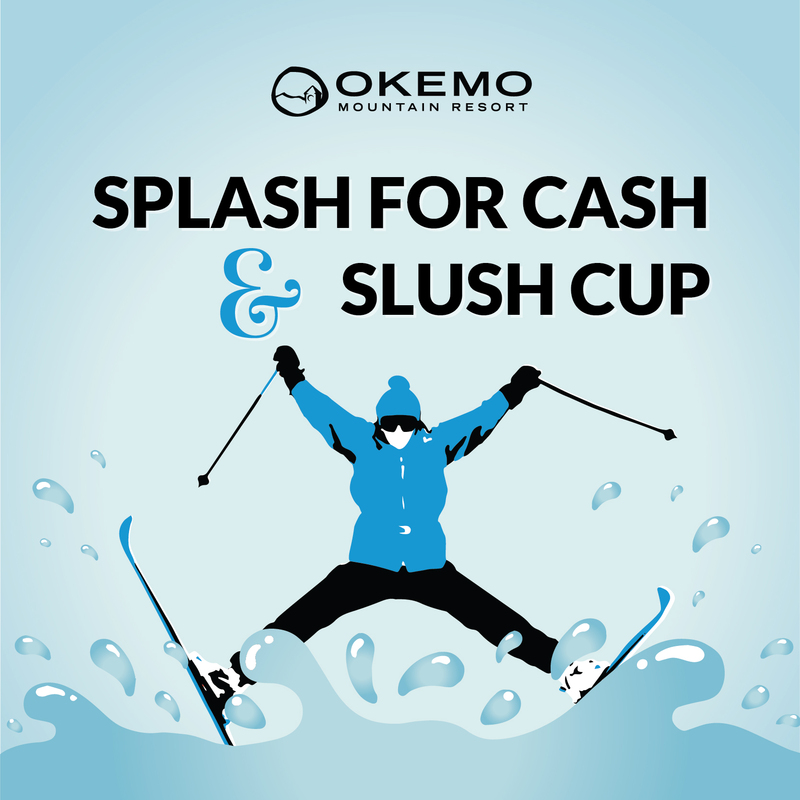 We promise that Okemo holds options for every need! Contact us today to begin the search for your perfect mountain home. Did you know that Vermont has an extra season? That’s right! If you are a true Vermonter or trying to become one, you need to know all about stick season. You might ask; what is stick season? It is the time of year when the leaves cover the ground, leaving the trees with nothing but bare branches. There isn’t any snow yet, the days get shorter and chillier, while the nights last forever and often leave us with a frost on the morning ground. It is the time of year that skiers and snowboarders anxiously await snowfall and for the mountains to open. As soon as October ends, they are crawling into their basements, attics, or garages to dig out their winter gear. You may even see the hopeful ones walking around town in eskimo hats and down jackets, just praying for those flakes to fall. Some head out to the local ski shops like Totem Pole, Northern Ski Works, The Boot Pro, or Tygart Mountain Sports to pick up brand new gear. However, if you are a summer lover, you probably are getting ready to go into hibernation. This most likely entails making all of your favorite comfort food like mac & cheese or beef stew because let’s be honest, most local restaurants shut down to prepare for the busy winter season. You are probably also drinking your favorite winter beers like Long Trail’s Harvest or Harpoon’s Winter Warmer. If you haven’t already, you are subscribing to Netflix and binge watching your favorite TV show, except on Sundays when you are watching the Patriots. If you don’t like TV, make sure you have a GIANT stack of books because after stick season comes winter, and Vermont winters last forever. Just remember, stick season doesn't last forever and soon the trees will be filled with beautiful snow and glistening icicles! 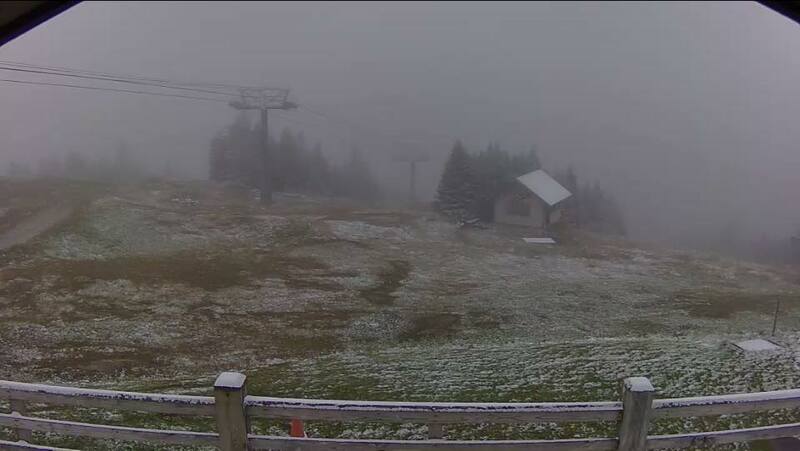 It Snowed at the Summit; Get Your Season Passes NOW! 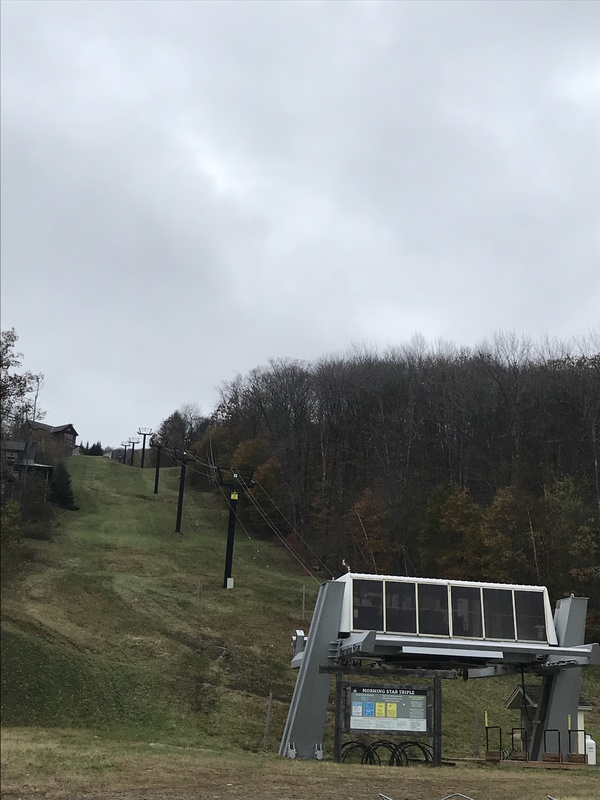 The announcement everyone has been waiting for; it SNOWED for the first time at the Summit of Okemo on Saturday, October 13th! While you couldn’t see it from the village of Ludlow, the live cams on the mountain caught it on video! Now that it snowed, it finally feels like winter is just around the corner. If you haven’t gotten your 2018/19 season pass to Okemo yet, now is the time to do it! Okemo has SO many options, that you can be sure to find one that works for everyone. While Okemo has always been an EPIC mountain, with the sale of Okemo to Vail Resorts, we are now a part of the Epic pass! There are two Epic options; the Epic Local and the Epic Pass, but both of which give you unlimited and unrestricted access to Okemo! Other unlimited and unrestricted mountains are Crested Butte, Mount Sunapee, Breckenridge, Wilmot, Mt. Brighton, Keystone, Afton Alps, Arapahoe Basin, and Stevens Pass. That means 10 mountains full of adventures waiting to happen! Not to mention, there are 17 other mountains to access on a more limited basis, including Stowe right here in Vermont! The other option is the Epic Pass, which gives you access to 65 resorts all around the world! With this pass, you get access to all of the unlimited mountains as the locals pass, but also has the additions of Vail, Whistler Blackcomb, Northstar, Stowe, Perisher, Beaver Creek, Park City, Heavenly, and Kirkwood! That leaves 46 other mountains that also give you on-snow options throughout the season. Get your Epic Local or Epic Pass today before rates go up! If the Epic pass isn’t for you, Okemo still has the Ultimate, Classic, and Midweek passes available. The Ultimate Pass truly is ultimate and gives you great benefits when skiing at Okemo such as retail, culinary, and preferred parking discounts! If you are looking for a basic pass, but still allows you to enjoy Okemo whenever you want, check out the Classic Pass! New this year, as well, all Ultimate and Classic Pass Holders will receive 50% off the then-current window lift ticket price at all Vail Resorts-owned resorts! Finally, if you don’t like the weekend crowds, Okemo still has the Midweek pass, which will give you access to the lifts Monday-Friday during non-holidays. We hope you are just as excited as we are to hit the slopes this season! Let it snow!! If you have never experienced fall in Vermont, then you are seriously missing out! It is such a magical time and truly is the essence of what Vermont is all about. The Okemo Valley is one of the best places to spend during this time and Columbus Day weekend is the peak! Here is a sneak peak of our favorite things Vermont things to do this weekend! 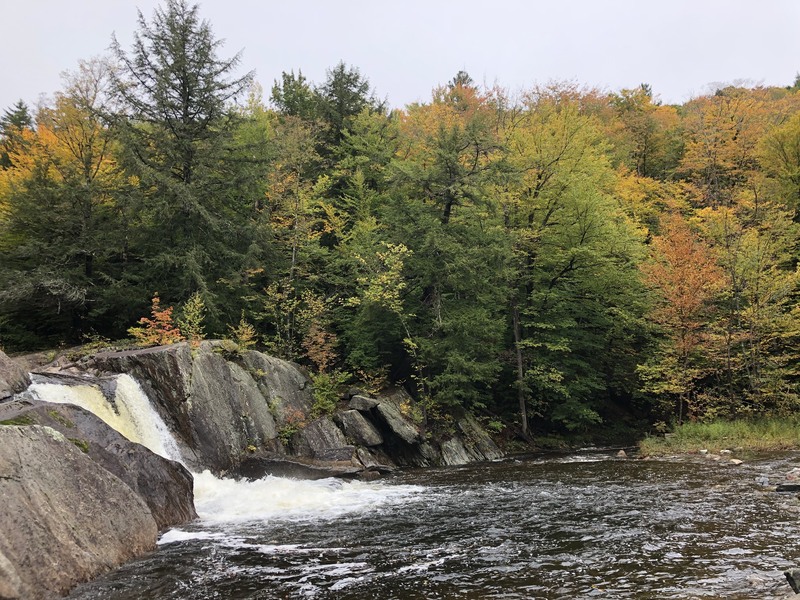 There are so many amazing hikes to experience within a 30 minute drive of Ludlow and all of them are the best during foliage season. Of course, one of the most popular hikes in the Okemo Valley is the Healdville Trail that leads you up the backside of Okemo. Pack a picnic lunch and take a break at the top with a climb up the firetower at 3,340 feet! Another great hike is Deer Leap in Killington. This hike is 1.9 miles of a beautiful wooded trail that leads to a peak and opens up to grand views of Killington, Pico, and beyond! Better yet, you can bring your dogs! After your hike, head to Longtrail Brewery for some lunch. For a hike with different scenery, check out Cascade Falls in Weathersfield. The hike is about 2.9 miles from the trailhead to the summit. Along the way, you will find 84ft and 60ft waterfalls that are absolutely breathtaking. If you are looking for a day hike, continue on your way to the various peaks of Mount Ascutney! One of the most well known sites in Ludlow is Buttermilk Falls in the Okemo State Forest. There are 3 waterfalls to check out on a short nature hike along the river. The river is surrounded by exquisite fall colors and provides a peaceful place to enjoy the great outdoors. Another popular local spot is The Pinnacle of Ludlow off of Commonwealth Avenue. There is a short secondary road that you can drive up if the gate is open, or you can choose to park at the bottom for a nice walk to the top. The Pinnacle has giant rocks to climb that overlook the entirety of Okemo Mountain. While this view is amazing all year long, it is exceptionally magical during the fall foliage. You can’t come to Vermont for a weekend getaway without going to the Vermont Country Store, either in Weston or Rockingham. This store holds all of the best items this Green Mountain state has to offer. You can fill up on samples of Vermont cheeses, meats, and dips and leave with a brown bag full of old fashioned candy. 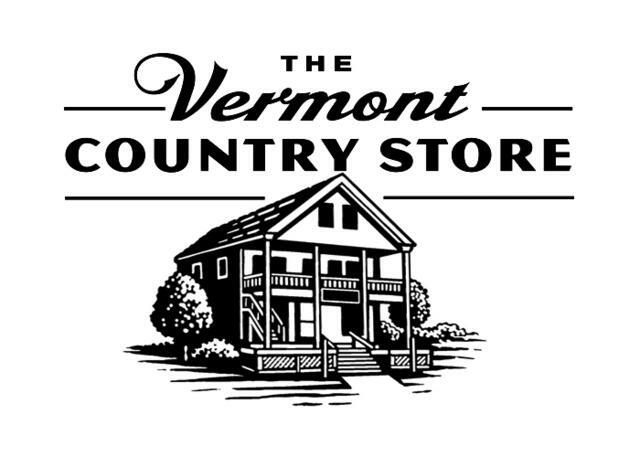 The store also carries many Vermont products, such as soaps and clothing. We promise you won’t leave disappointed. If you are in Ludlow, you must stop by the Green Mountain Sugar House, located on Lake Pauline. You can stock up on maple candy and maple syrup, but the best item is their Maple ice cream. If Vermont had a taste, it would taste like a Maple Creeme! A personal favorite fall activity of mine is apple picking and the best local place to go is Wellwood Orchards in Springfield. Take a walk into the orchard to pick your own apples or catch a ride on the hay wagon for the real Vermont experience. Wellwood also has a petting zoo that is great for all ages! 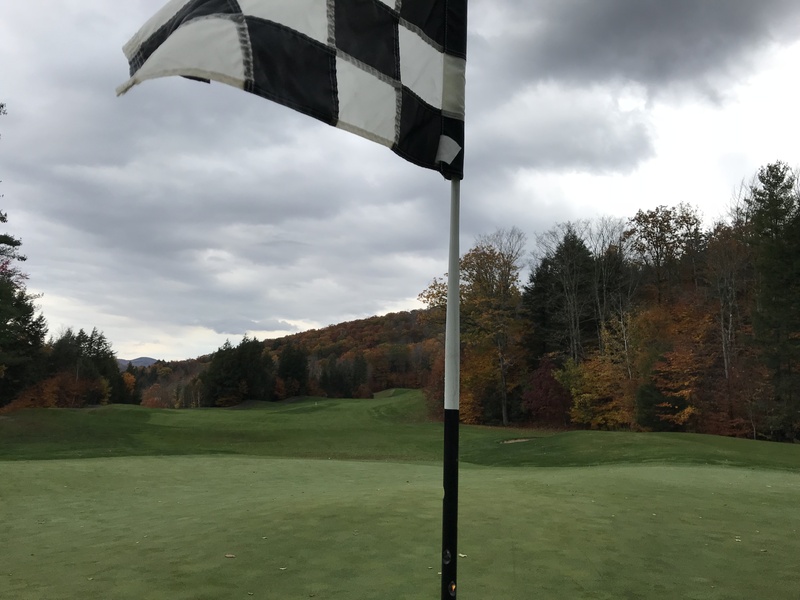 Another great activity is to play a round of golf at the Okemo Valley Golf Club. The course has an 18-hole layout that has a par 70 and measures 6,400 years in length. It is playable for all abilities and provides a challenge for everyone! While this is a beautiful course all year long, nothing beats the views during the fall foliage. If you are looking for a true Vermont experience, head to Mount Holly for Cider Days on the Belmont Green! This event runs Saturday, October 6th from 10-4pm and Sunday, October 7th from 12-4pm. You can watch how apple cider is made and even try some for yourself! There are other sweet treats, along with many local craft vendors. 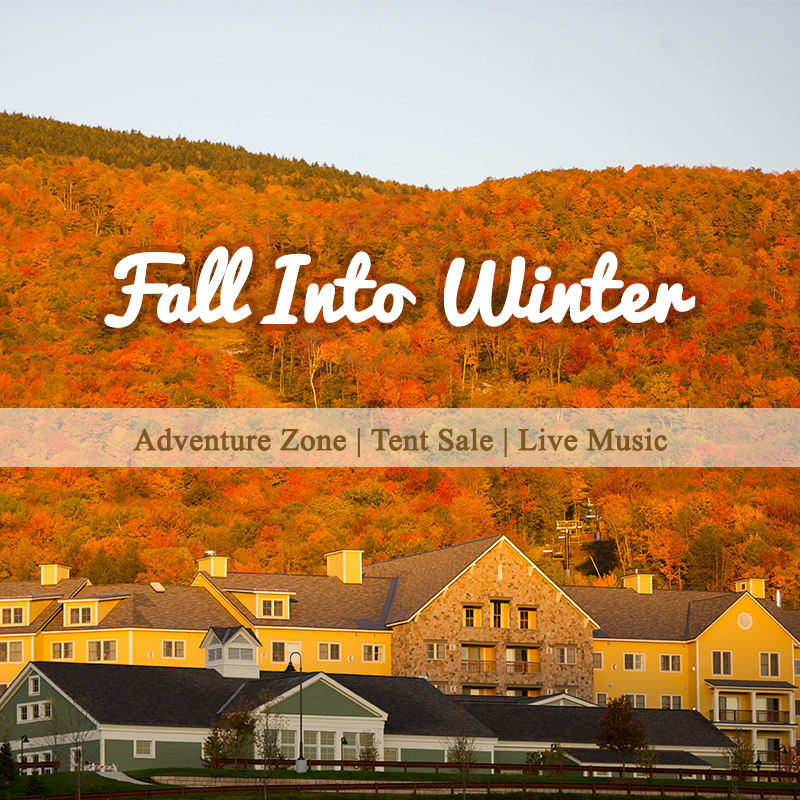 We saved our favorite event for last; Fall into Winter at The Jackson Gore Inn and Resort! This is an awesome event to celebrate the transition of seasons from fall to winter. 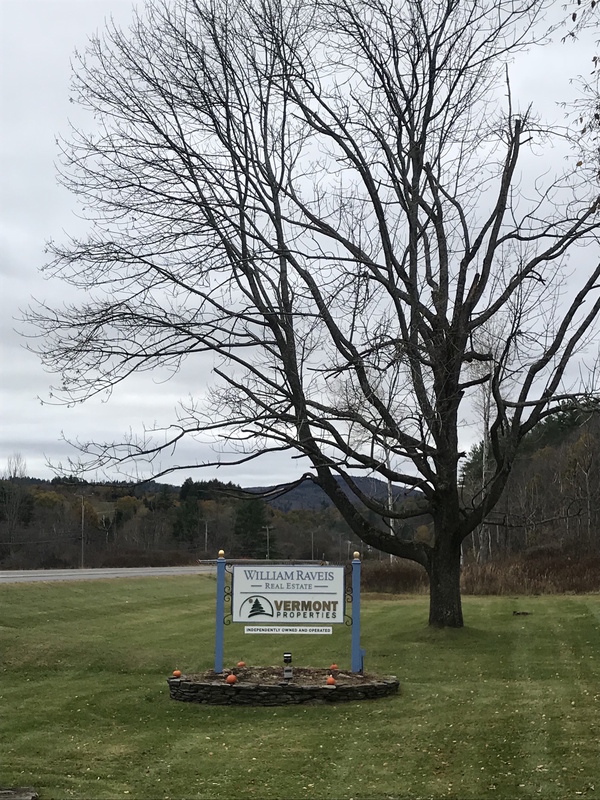 William Raveis Vermont Properties is sponsoring the live music and there will also be hayrides, games put on by Okemo Mountain School, pumpkin painting, craft vendors, food, and a beer/wine tasting tent! You can also check out Okemo’s Adventure Zone! Come see us from 11am-4pm!